School of Information Engineering, Jingdezhen Ceramic Institute, Jiangxi, 333403, P.R. China. 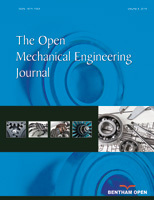 The paper has analyzed and digested the related literatures from home and aboard, summarized techniques and theoretical methods of the relevant prototype systems. Based on the understanding of the present situation of the domestic and foreign sketches technology application basis, through the existing ceramics product design process and production process flow of the detailed ceramic products of design process are in-depth analysis and decomposition is proposed based on the sketch of the computer aided design ceramic technology, and on the basis of the development of the corresponding ceramic design software.